A longtime site favorite, Swedish indie folk singer-songwriter The Tallest Man on Earth is set to make his long-overdue return to Nashville in support of his upcoming fifth album and first in four years, I Love You. It’s a Fever Dream, for a special “A Night with The Tallest Man on Earth” performance at The Ryman Auditorium on April 19, the very day the album arrives. Needless to say, it’s going to be an extra special affair, and we can’t think of a better spot than the Mother Church to catch such a unique and talented, once-in-a-generation songwriter like this. Get your tickets here while they last, or, if you’d rather take your chances, we’re also giving away a pair of tickets to one lucky fan! Read on for more about the show, and enter for a chance to win below. 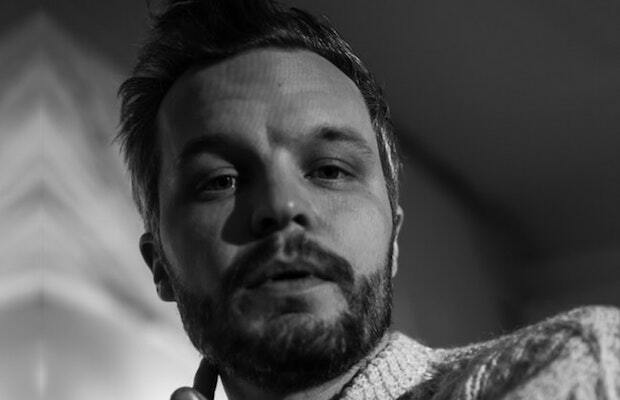 The solo indie folk moniker of Swedish singer-songwriter Kristian Matsson, which began after a stint fronting indie rock group Montezumas, The Tallest Man on Earth formally came into existence in 2006, initially envisioned as a part-time side project, as Matsson released his self-titled, debut EP. Met with swift critical praise, however, compared to the personal, introspective, and story-driven folk style and delivery of Bob Dylan, The Tallest Man on Earth found broader recognition with his 2008 debut full-length, Shallow Grave, initially released without label or PR backing in North America, though a tour supporting Bon Iver not long after helped boost the singer’s presence, attract international attention, and mount a solo tour. Subsequently signed stateside to indie label Dead Oceans, The Tallest Man’s sophomore LP, The Wild Hunt, arrived in 2010, and further expanded his audience, while 2012 and 2015 followups, There’s No Leaving Now and Dark Bird Is Home both found the songwriter exploring more honed and expansive genre ambitions, and earned him even more commercial success and worldwide critical acclaim and awards nominations. Though he’s a compelling, powerful, and resonant performer on his own, Kristian increasingly began fleshing out his sound in more of a full band setting on later releases and tours, and, though it’s been five years since his last proper full-length, he’s remained active, since releasing a collaborative EP with yMusic, and, last year, embarking on a multimedia experiment by slowing releasing a new effort, When The Bird Sees The Solid Ground, over five separate parts. Set to officially return April 19 with a brand new full-length, I Love You. It’s a Fever Dream., the very same night he’s slated to headline The Ryman, The Tallest Man on Earth remains one of the most powerful, emotionally nuanced, subtle, and beloved cult figures in the indie folk scene, perhaps still not quite a household name, but still an international touring fixture and critically adored songwriter and performer. It’s been four years since Matsson’s Ryman debut, and we have no doubt that his return, especially given the occasion, will be even more special. Don’t miss out! Winner will be announced Wednesday, April 17 at 12 p.m. CDT, and will receive one pair of tickets. Good luck! Win Tix to The Tallest Man on Earth at The Ryman! The Tallest Man On Earth will perform Friday, April 19 at The Ryman Auditorium. The show is all ages, begins at 8 p.m., and tickets are available to purchase for $35.